Robertson (27:37), who lives and trains in Kenya, burst ahead in the first mile and never looked back to dominate a strong field. 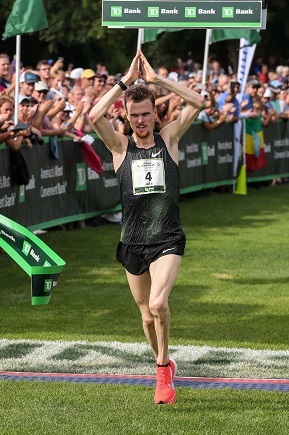 His 50-second margin of victory is the widest ever in the traditionally highly-competitive men’s race and his time tied for the third-fastest ever on the coastal Maine course. 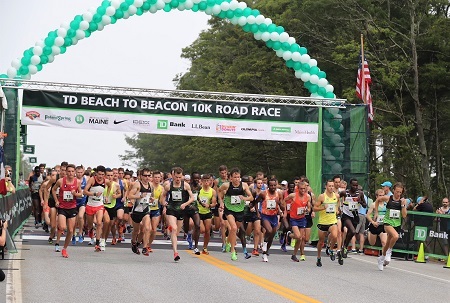 Stephen Sambu (28:27) and Maine native Ben True (28:29) closed hard but were no match for the fleet-footed Kiwi. True, a crowd favorite who grew up in nearby North Yarmouth, won the American-only category. Almost from the opening horn, Jake Robertson, 28, left little doubt who would be collecting the top prize in the men’s race. After bursting to the lead and cruising ahead of course-record pace over the first four miles, his trailing competitors kept looking for a glimmer of hope, a little falter. But most could barely see him up ahead as he maintained a dominant lead throughout. His 27:37 is the third fastest ever on the course, nine second shy of the course record set in 2003 by Gilbert Okari of Kenya. 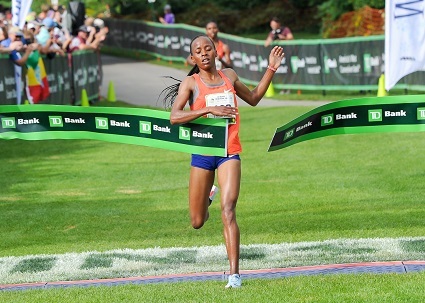 Pauline Kamulu Kaveke, 23, of Kenya, placed fourth (31:56), ahead of Emily Sisson, 26, of Providence, R.I. (32:09), who was the top American at the 2016 TD Beach to Beacon. 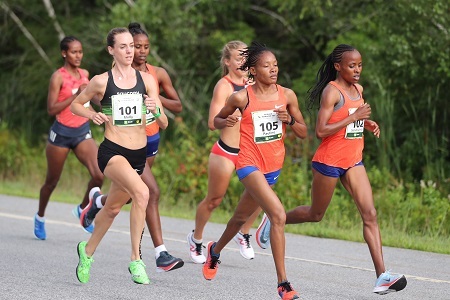 Buze Diriba, 24, of Ethiopia (33:17) edged Kaitlin Goodman, 31, also of Providence, R.I. (33:18) for sixth, while three Americans rounded out the top 10: Gwen Jorgensen, 32, the Olympic gold medalist triathlete transitioning to the marathon (33:20), 28-year-old Rochelle Kanuho of Flagstaff, Ariz. (33:23) and Emily Durgin, 24, of Brighton, Mass. 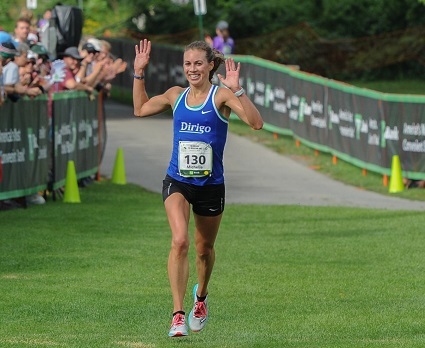 (33:55), who won the Maine Resident title last year and now trains with Team New Balance in Boston. 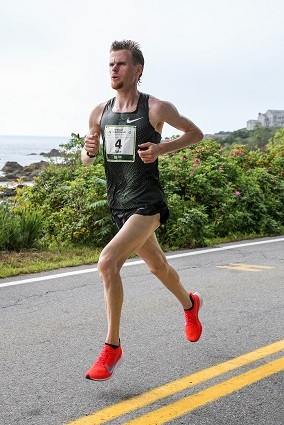 On the men’s side, Ryan Smith, 23, of Farmington, continued the trend of talented young runners from Maine leaving a mark in Cape Elizabeth. An assistant track coach for the University of Maine Farmington, Smith is a recent graduate of Goshen College in Indiana, where he was an All-American runner. 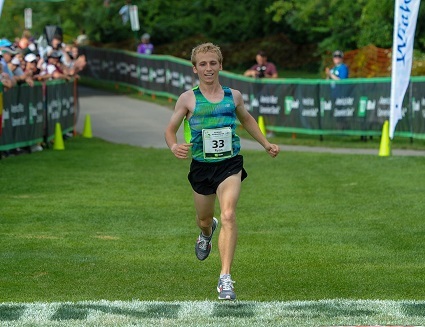 His 30:50 also placed him 17th in a deep professional field. 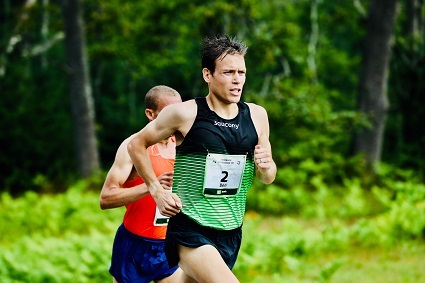 Ben Decker, 22, of Yarmouth, the 2015 Maine champion, placed second (31:42), while Spencer McElwain, 29, of Portland took third (31:57). This year’s race did not hold the drama of 2017, when champion Jesse Orach was helped to the finish line by Rob Gomez. This time around, Orach placed fourth while Gomez reportedly dropped out of the race in the early going due to illness.